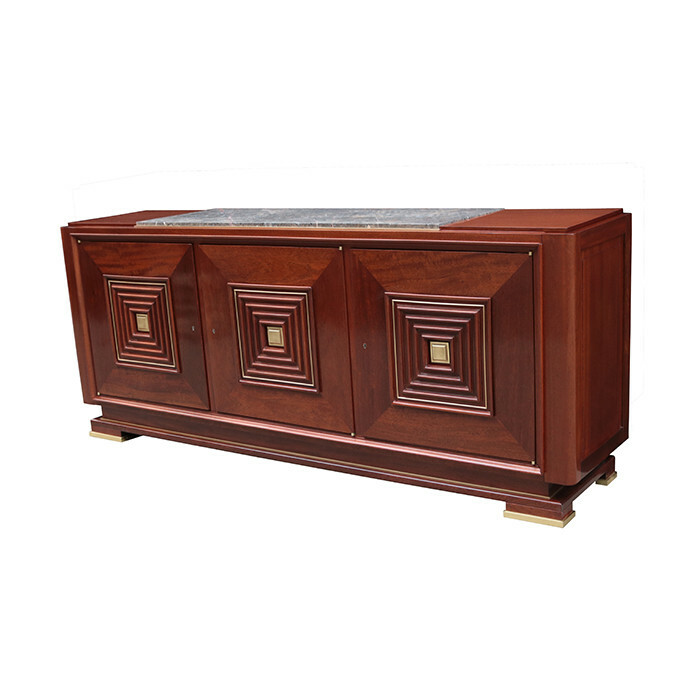 An Art Moderne three door sideboard. Mahogany with patinated brass details, and marble top. Dimensions: H:37 W:90½ D:20¼ Inches.